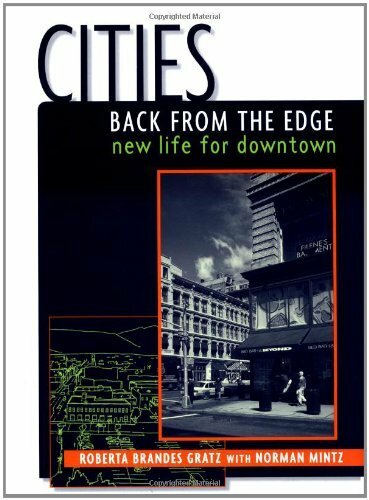 In her provocative book, acclaimed urbanist Roberta Brandes Gratz – voted one of Planetizen’s top 100 urban thinkers – challenges the conventional wisdom on how cities authentically regenerate. Through the clashing visions of postwar urban renewal (highway building czar Robert Moses on the one hand and urbanist author and activist Jane Jacobs on the other), Gratz examines the fall and remarkable comeback of New York City and demonstrates how this story parallels that of many American cities. 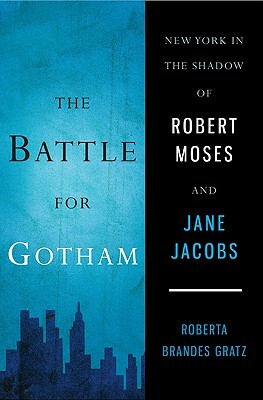 Battle For Gotham argues that New York City reached its lowest point after decades of destructive Moses projects, and began an organic regeneration with Moses’s demise and the cessation of his sweeping, federally funded projects that wiped out so much of the city. New York’s turnaround, Gratz illustrates, began with the small, local citizen-led efforts reflecting the urban philosophy of Jacobs. “An intelligent analysis. Sensible, undoctrinaire, even good-humored. An appealing mixture of passion and clinical dispassion.” –Washington Post Book World. “The best antidote I’ve read to the doom-and-gloom prophecies concerning the future of urban America.” –Bill Moyers. 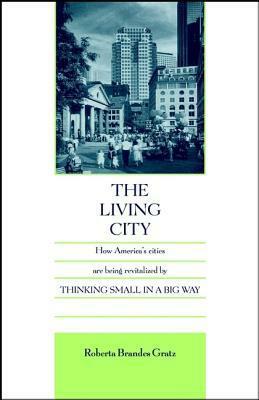 “This is fresh and fascinating material; it is essential for understanding not only how to avoid repeating terrible mistakes of the past, but also how to recover from them.” –Jane Jacobs, author of The Death and Life of Great American Cities. From coast to coast across America there are countless urban success stories about rejuvenated neighborhoods and resurgent business districts. 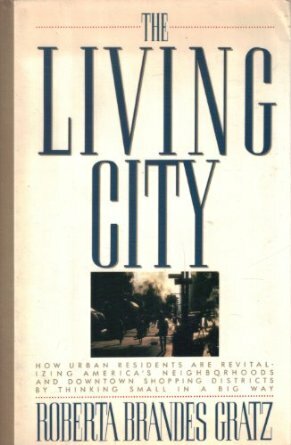 Roberta Brandes Gratz defines the phenomenon as “urban husbandry”—the care, management, and preservation of the built environment nurtured by genuine participatory planning efforts of government, urban planners, and average citizen. A Frog, A Wooden House, A Stream and A Trail: Ten Years of Community Revitalization in Central Europe (Rockefeller Brothers Fund, March 1, 2000). For nine years, Gratz worked with William Moody of the Rockefeller Brothers Fund in Central Europe advising citizens in cities and small town on the art of urban regeneration. This book length report describes many of these projects and their success after that period of time. “Jane Jacobs: Environmental Preservationist” in What We See: Advancing the Observations of Jane Jacobs edited by Stephen A. Goldsmith, Lynne Elizabeth and Arlene Goldbard, New Village Press, 2010. “Introduction: Authentic Urbanism and the Jane Jacobs Legacy” in Urban Villages and the Making of Communities, edited by Peter Neal, Spon Press (London & New York), 2003. “Jane Jacobs” in American Rebels, edited by Jack Newfield, Nation Books, 2003. Remove items, such as shoes, from the area where you keep your puppy. animal. Educating your dog could help save his or her life one day. 08.10.2012 at 23:46 I simply want to tell you that I’m begennir to blogging and site-building and truly enjoyed your web page. Likely I’m going to bookmark your blog . You surely have excellent well written articles. Cheers for sharing with us your blog. New Orleans Book Coming Soon!